Remember the days of video games past that didn’t hold your hand? Those games that failed to give you a tutorial mode or even really explain what the game was all about? The intense gameplay that was characterized by an onslaught of enemies that could insta-kill you just by invading your personal bubble? Aside from Dark Souls, few games these days give you the kind of vibe that the titles of yesteryear offered. If you’re disappointed by the offerings of modern games and are looking for that nostalgic experience once taken for granted, Bloody Walls may scratch that itch and provide you with that familiar rush of an old-school challenge. Bloody Walls, a free-to-play clicker game developed and published by L. Scotch, doesn’t start off with any real sense of a storyline – everything you learn is inferred. With a clock set to 00:00 and a couple of antidotes at the ready, you, the apparent hero, are the last hope of a room full of survivors trying to withstand a possible zombie outbreak. With little more than a gun and gumption, you enter the elevator and begin your ascent into the zombie-filled floors. Your goal seems pretty straightforward – kill all zombies and ensure the survival of your ragtag group of what is surely the last remnants of humanity. The controls are pretty simple – use “A” and “D” to move left and right, respectively. 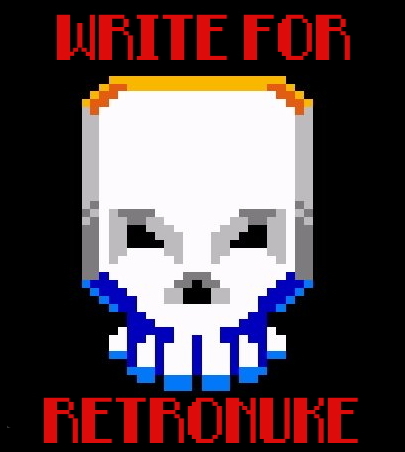 Click the left mouse button to shoot and hit enter to commit an action. Walking in front of people and objects will cause a speech bubble or icon to appear, and clicking on said icons will result in the player being able to interact with the person/item. All controls are fully customizable to make your experience more intuitive, so don’t get used to the controls if you don’t feel like using the defaults. To each their own! The graphics are fluid and aesthetically pleasing – there is only one “real” color, which is blood red. The more enemies you shoot, the more red you see splattered on the walls, giving the place a literal splash of paint. The music is perhaps my favorite part of the game in that it’s moody without being annoying; in fact, it’s downright satisfying. A calm, somber, and slightly eerie song plays in the absence of enemies and makes one feel a sense of uncertainty, seriousness, and dread, while a fast-paced rock song is pumped through your speakers when zombies are charging, making that feeling of “kickassery” come nice and easy (Word didn’t underline “kickassery” which is pretty kickass). Depending on the difficulty level, the hero begins the zombie-culling with either 5 or 35 antidotes. The mechanics of the antidote are unclear, but their purpose isn’t – they’re staving off the infection and keeping you sane. Each antidote has a time-limit of 60 seconds, and when you’re down to zero, it’s Game Over, so speed is of the essence. Gameplay is fairly simple – run through each floor of the ten story building and kill all the zombies. Don’t let them get too close to you, because they’ll take a bite out of you and turn you into one of them, resulting in a Game Over – that’s right, it’s one bite and you’re outta there. With no save states and no extra lives, this feature is a nod to the retro classics we all grew up on and can result in a few ragequits. While the game is pretty easy to grasp, it’s hard to master. Killing zombies isn’t a matter of shooting in their general direction and hoping for the best; instead, you have to use your mouse and hover over the zombies’ heads. Even though they can kill you in one bite, it’ll take several bullets to do them in. The closer you are, the more damage your bullets will do; thus, finding the optimal distance between you and the charging zombies while watching out for those coming at the rear is key to defeating them. Even though this was a fun title to pick up, it was perhaps too frustrating to play for an extended period of time. I wouldn’t consider the hour or so I spent on Bloody Walls to be a waste, but I’ll not likely play this game again. Still, the fact that a game of this quality is free is surprising – it’s no Left 4 Dead, but it certainly wouldn’t hurt to charge a dollar or two for this gem. 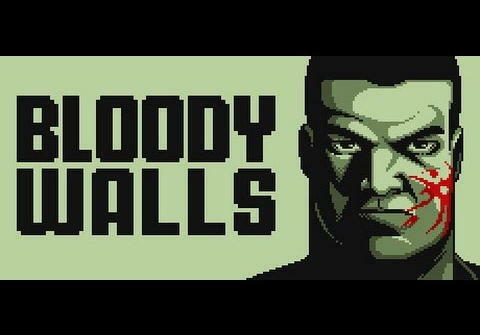 Bloody Walls is a testament to the fact that enjoyable, solid free-to-play games with no microtransactions can exist. The game is designed well with no foreseeable bugs or glitches. The graphics, animation, and music are all well-done and give the game a feel of polish, albeit a bloody one. Bloody Walls is a great way to spend an afternoon and is an easy choice for streaming – it’s easy to see why hundreds of reviews on Steam rated this game “Very Positive”!